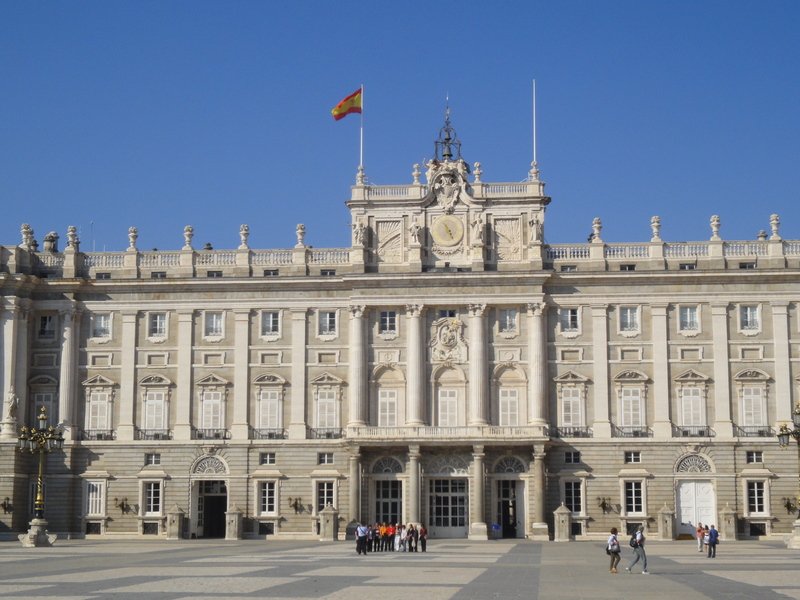 Madrid is HUGE… As the largest city in Spain, it is also the capital as well as the third largest city in the European Union. It’s modernized, yet a certain vintage feel seeps out from its side streets and neighborhoods. There are plenty of restaurant and shopping options to cater to every desire, and there are some pretty great photo opportunities to be had should you enjoy architecture. And there’s pork. Lots of pork. 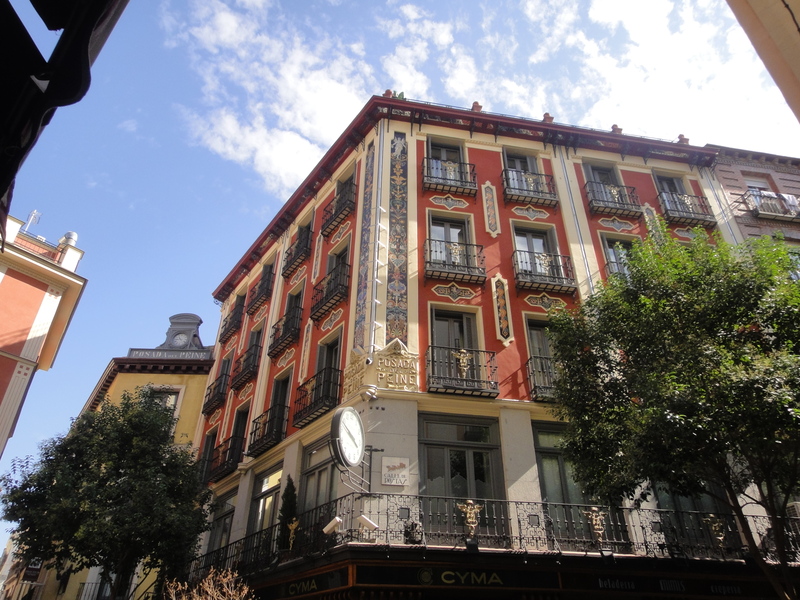 I stayed at MAD, The Hostel, which was located somewhat close to the Plaza Mayor square, however I wasn’t crazy about the location. The hostel was situated down a side street, and once night-time fell, it wasn’t too welcoming for a solo traveler. Additionally, the room was hot stifiling and the beds were squeaky and uncomfortable. Not much was to say about the surrounding streets, as there was nothing going on and no decent looking restaurants or bars to hang out in. I definitely would not recommend staying here. The only redeeming quality of staying and sweating my buns off was meeting the most amazingly adorable couple who roomed with me for three nights, Josh and Ashleigh. Plus, they were hilariously entertaining by constantly arguing about Josh’s animal-like feet or hairy armpits…. 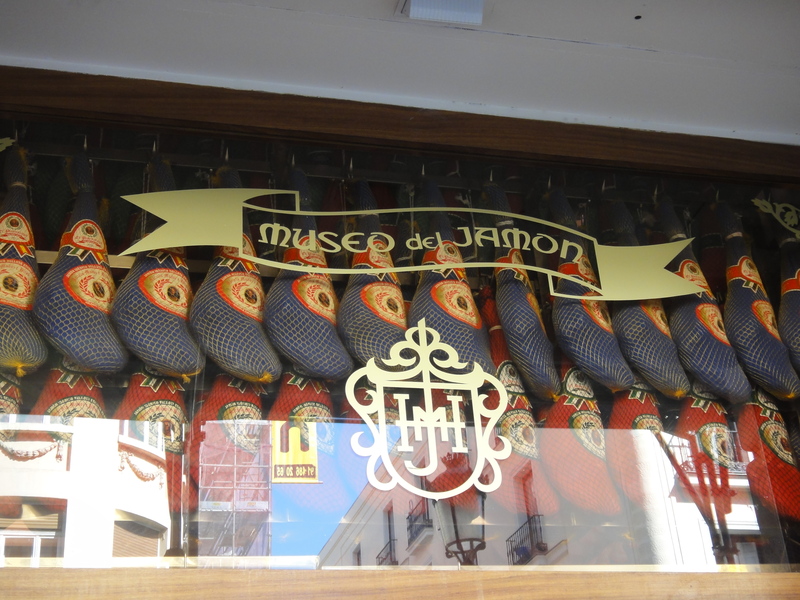 The absolute number one thing I would recommend anyone doing when visiting Madrid is to find Cristiano Ronaldo, stuff him in a box and ship him to me eat at the Museo del Jamón (that’s “the ham museum” for any non-Spanish speakers). There are a few of them around town, and they are fabulous! 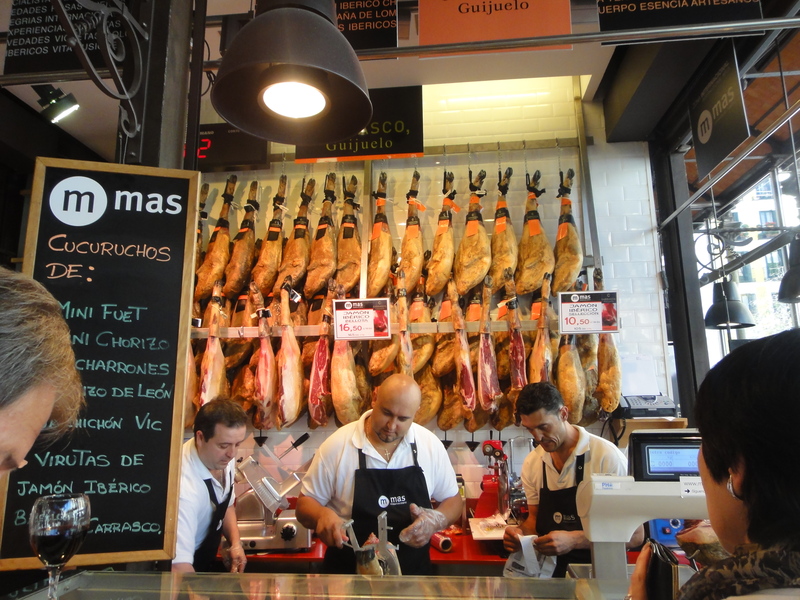 Any place that has hanging ham legs and piles of chorizo in the windows is perfect in my book. Just passing by on the sidewalk you can smell the pork…. 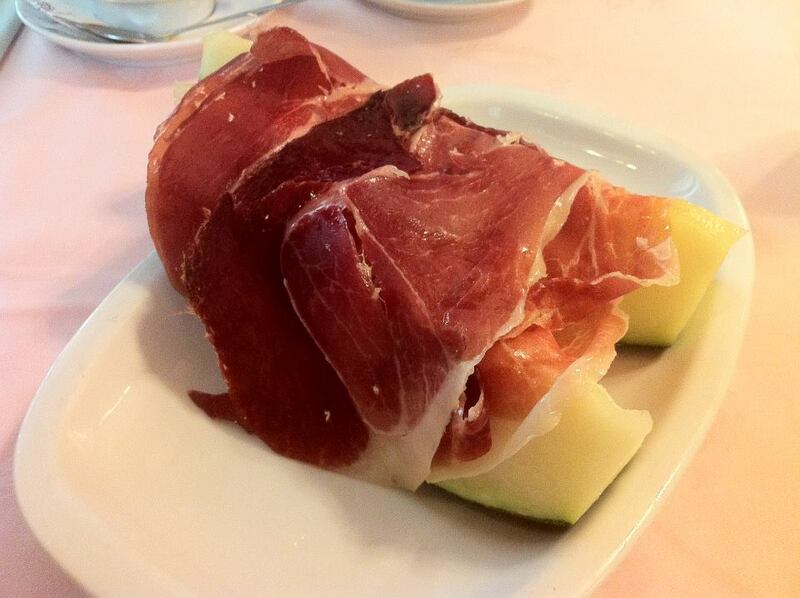 the bacon-stuffed mushrooms, the prosciutto and melon, the chorizo platters… yes, you know I ate all that. And more. A hell of a lot more. I ate so much at this Museum O’ Ham that my pants became tight, and I’m pretty sure I clogged an artery. I ate there six times within three days and I am NOT afraid to admit it! And the one time I strayed from pork, I had fried sardines. The tiny, crispy carcases were heavenly; so I thought until I would come to find out I contracted a parasite from the golden-fried, lifeless bodies. 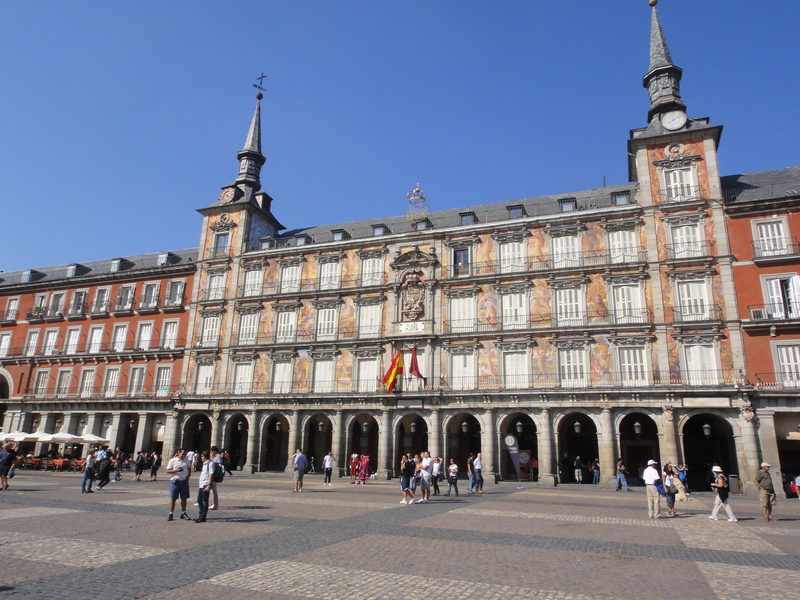 The most famous square in Madrid is the Plaza Mayor, which hosts gatherings, street artists and more. 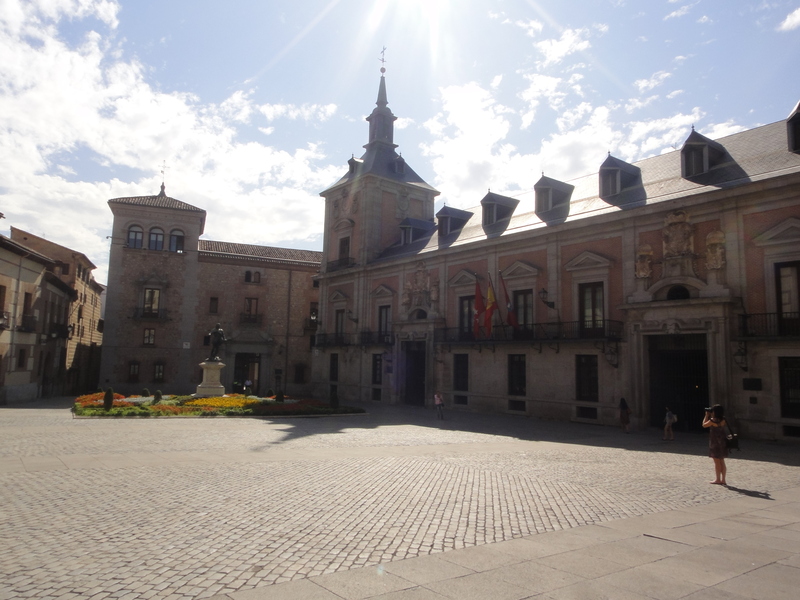 Historically, the square has been used for executions, political issues and bull fights. 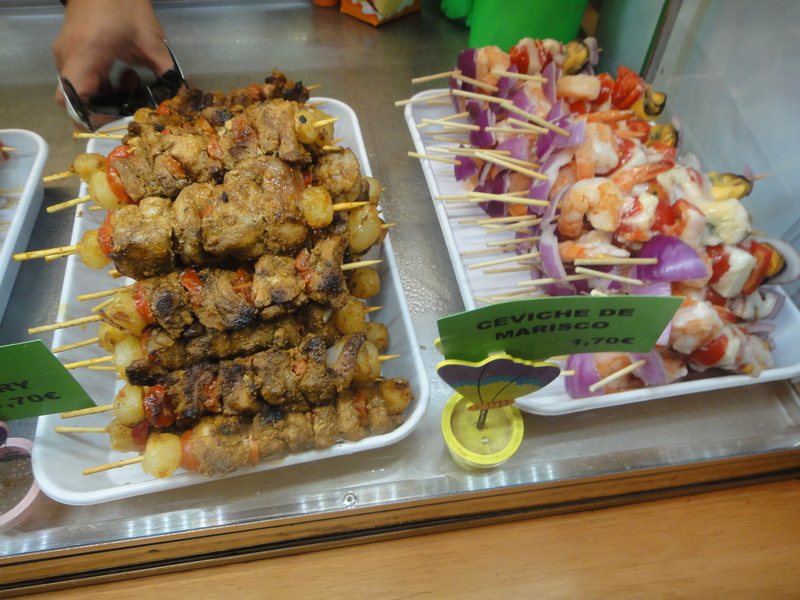 Not far from the Plaza Mayor is the Mercado de San Miguel, a food market that has some good eats. 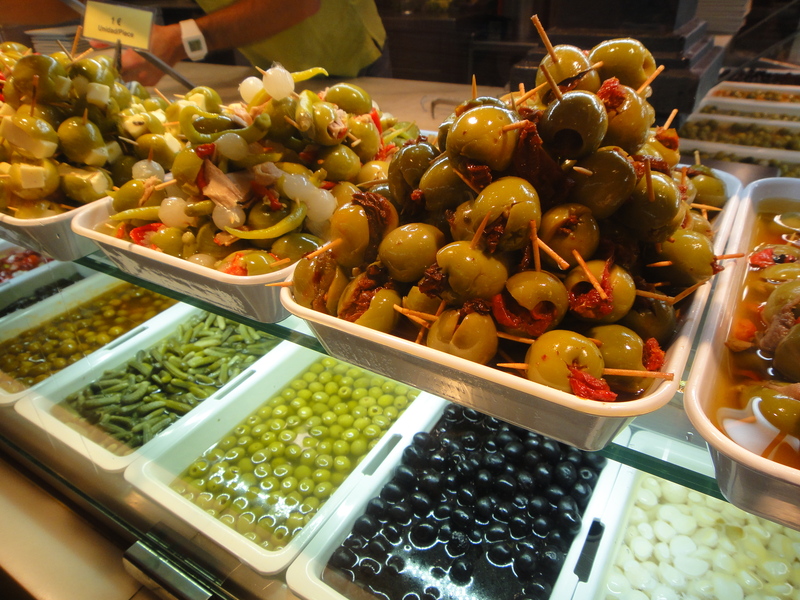 Now, it is absolutely NO where near comparison to the mighty La Boqueria Market in Barcelona, but if you’re in the area, stop in and check it out. 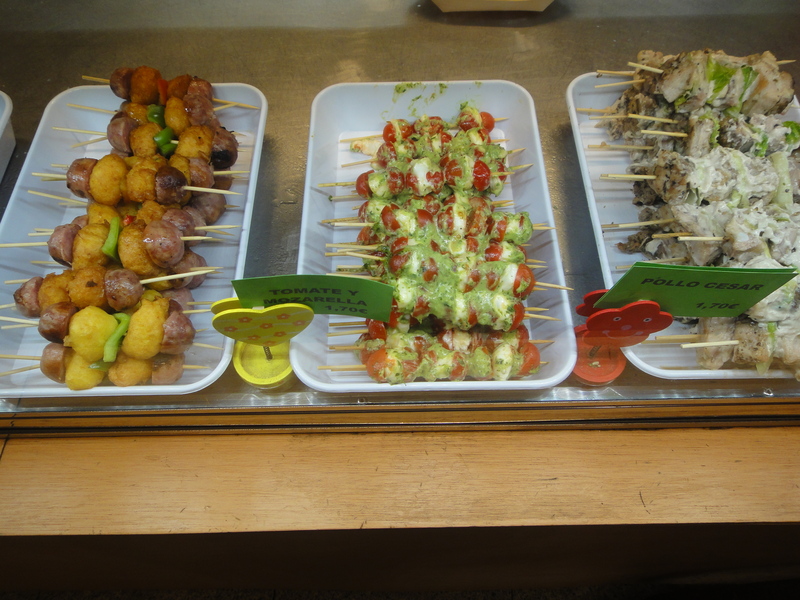 The Mercado is much more overpriced than La Boqueria, however it does have a more clean feel to it. 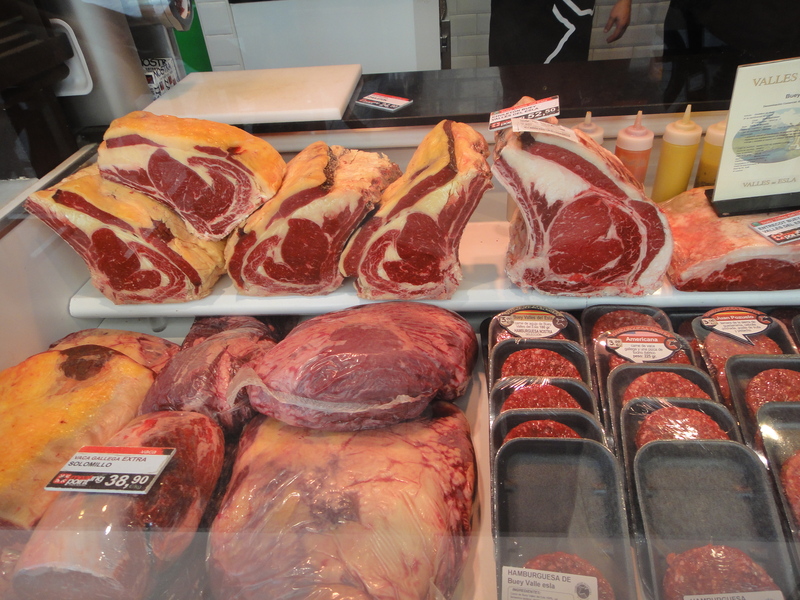 There are some pretty talented chefs and cooks mixing up some amazing dishes, which can be eaten right at the counters, as well as a nice wine selection. I did all my sightseeing on-foot; I, personally, would rather walk and see the city rather than miss a cool building or site because I took the train. 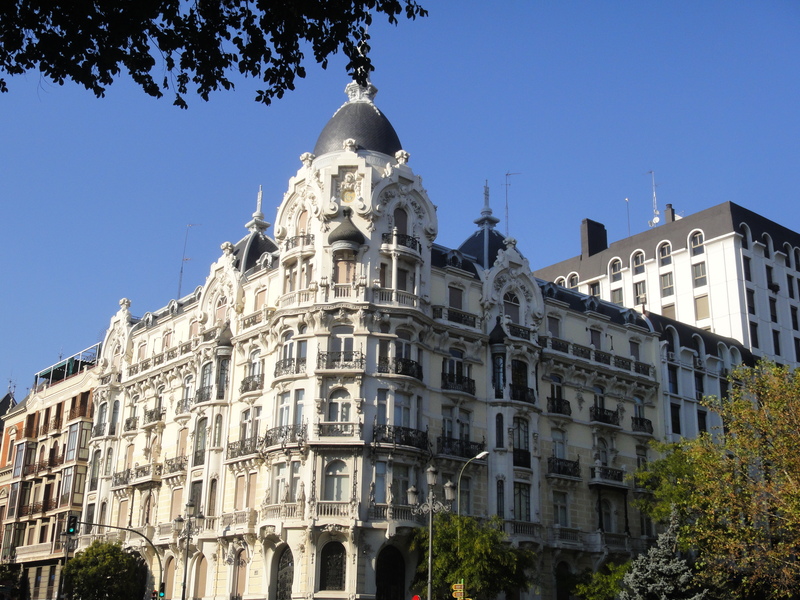 However, if you aren’t like me, I’d suggest NOT walking Madrid. I walked so much, got so lost, and was so exhausted by the end of my stay, yet I still hadn’t covered nearly as much as some do. 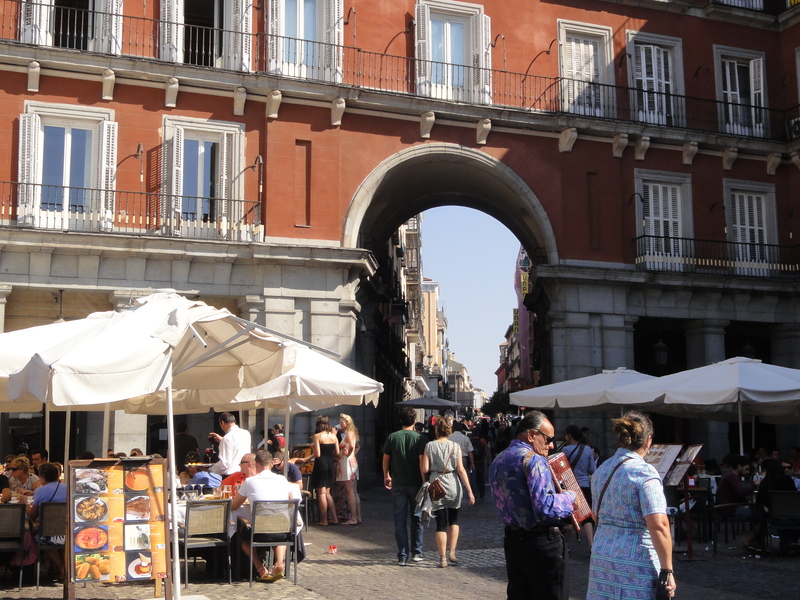 Madrileños speak Spanish, which made it muy bueno for me to communicate, so I never felt helpless, as my Spanglish speaking skills are pretty fierce. 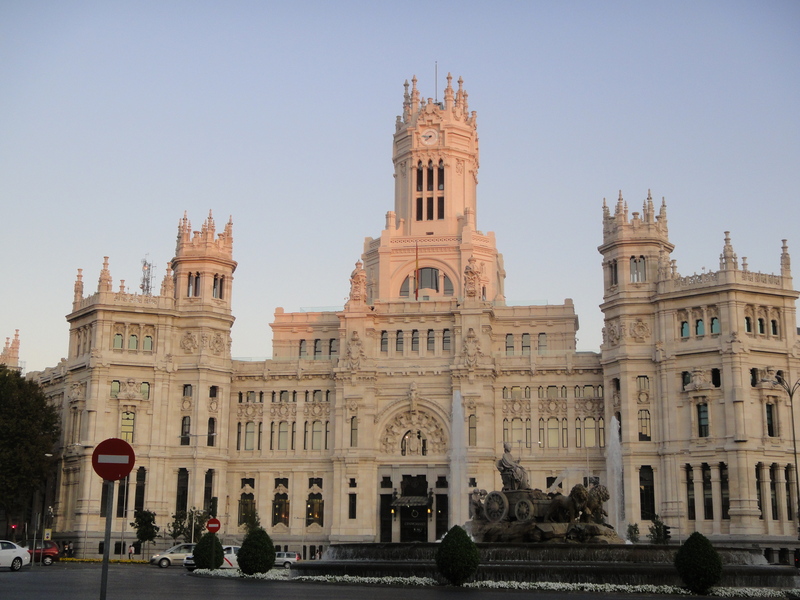 Plaza de Cibeles is a great intersection which houses the Palacio de Cibeles (the palace or city hall, once the post office), the Bank of Spain, the Palacio de Buenavista (a very historical military palace which is home to the Spanish Army) and the Palacio de Linares (a palace that is now an art gallery and rumored to be haunted). Entering the Royal Palace of Madrid was on my to-do list, however I missed the cut-off for purchasing a ticket by like five minutes. Bummer. The inside houses art and different royal collections, and the grounds include a French-inspired garden. The exterior of the palace gives off a very sterile vibe; other palaces such as Versailles or the Schönbrunn Palace of Vienna are much more warm and welcoming when compared, but nonetheless, I’d suggest checking it out. 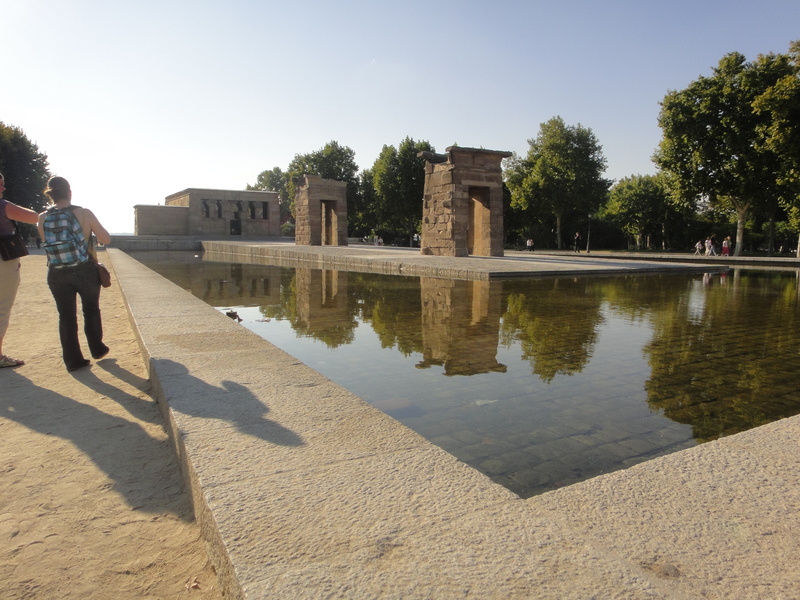 Near the Royal Palace you can find a really amazing piece of Egyptian history: the Temple of Debod. Originally built in Aswan and located on the Nile, this Egyptian temple was threatened due to construction. 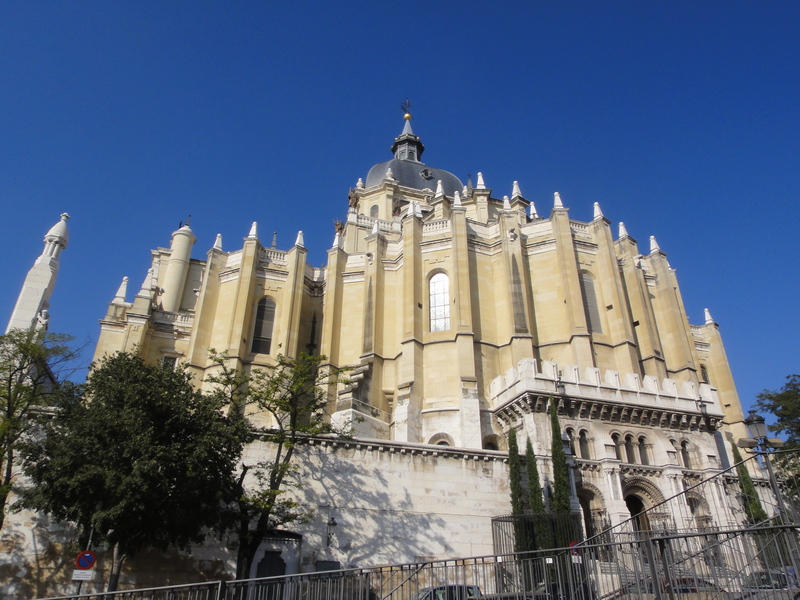 The angels at UNESCO stepped in, and Egypt moved the monument piece by piece, and rebuilt it in Madrid. 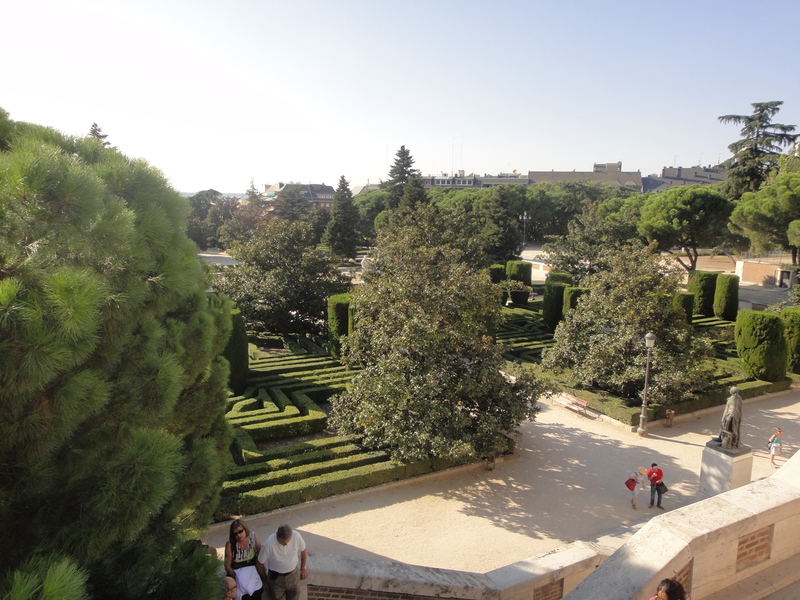 Spain had previously helped save the Abu Simbel Temples, so as a great big thank you, they got the Temple of Debod. 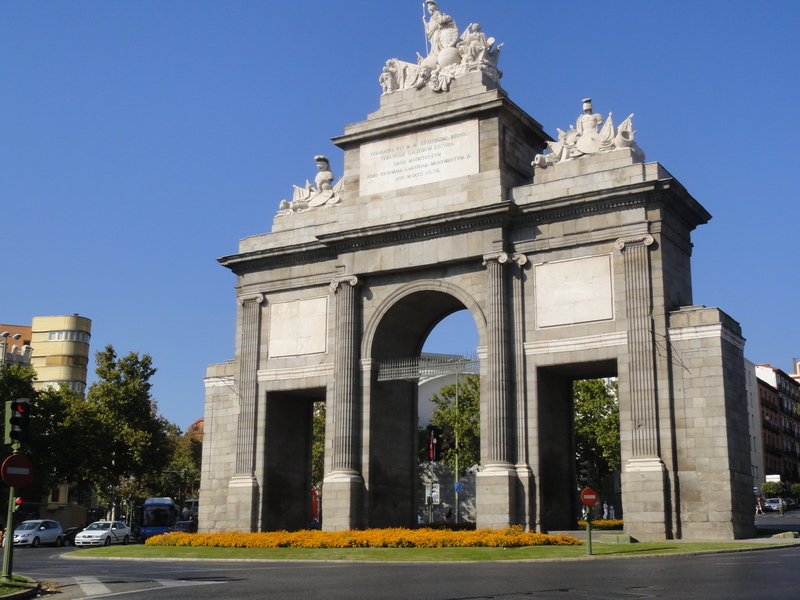 I’d say that’s a pretty awesome trade; the monument is amazing, and a great contrasting surprise in the middle of the modern metropolis that is Madrid. 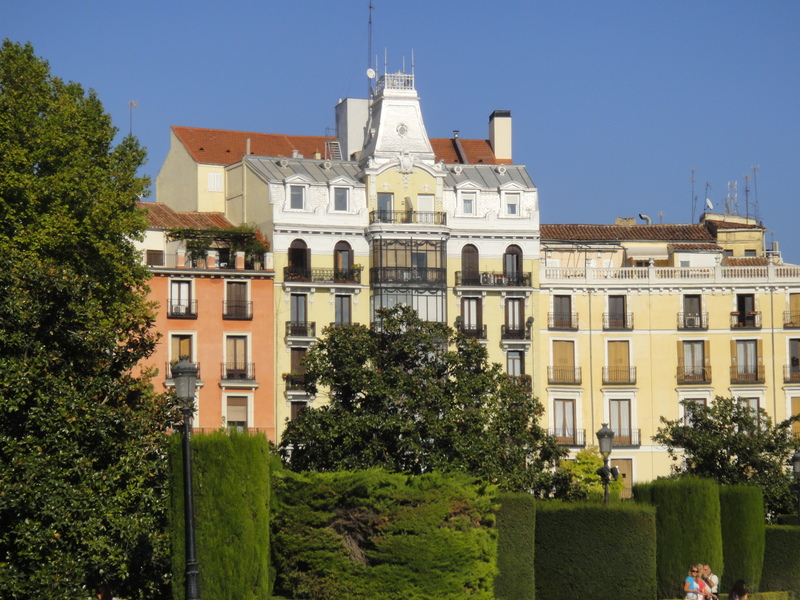 If you’re into museums, Madrid is home to the mega famous Museo del Prado located in the city center. I’m not a huge museum fan personally, unless I have a good, solid amount of time to spend in a city. 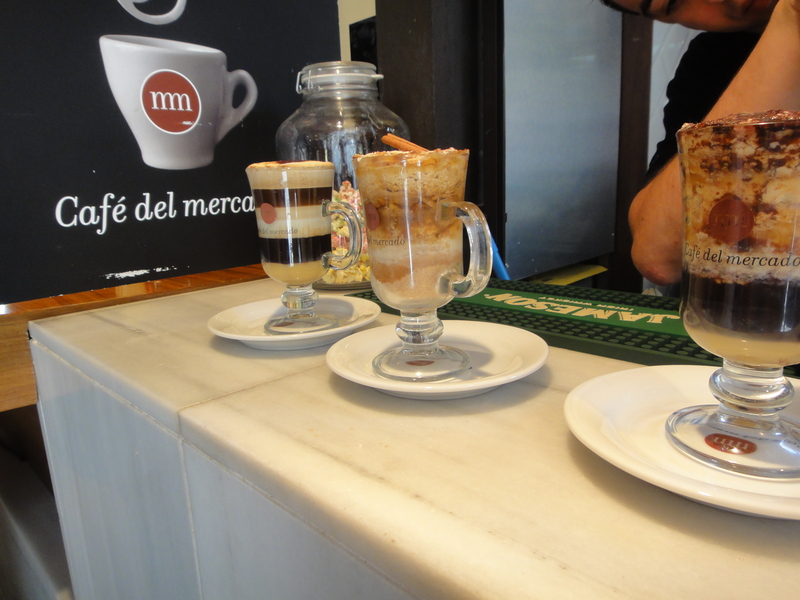 Given I was only in Madrid for a short period, I just didn’t have the time. I have, however, heard it’s absolutely amazing and either rivals or is better than the Louvre, depending your interests. So, what are my thoughts on Madrid? It’s the place I contacted a terrible parasite from… a parasite that nearly cut my trip short. But the Ham Museum!!! The glorious Ham Museum!!! That surely evened out the bad impression the city left on me. 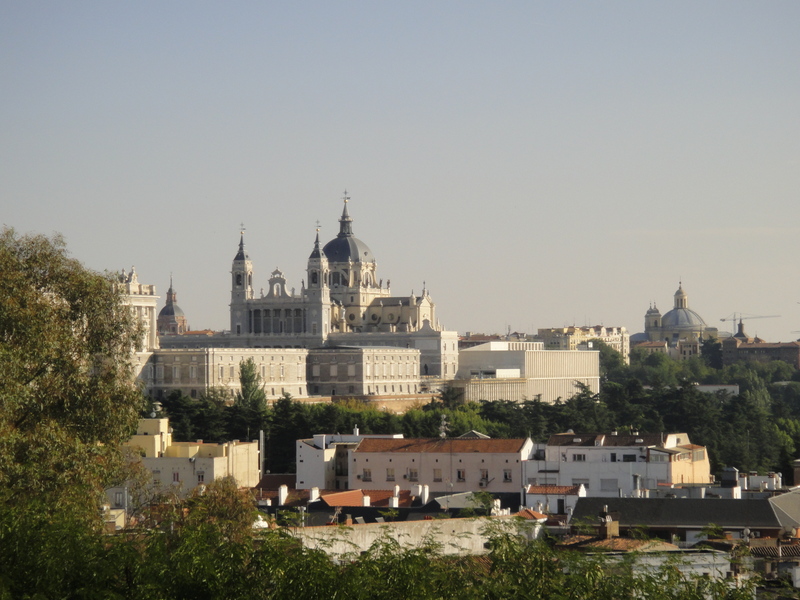 Afterall, I can’t blame the entire populace of Spain’s capital on the little guy. In the end, I don’t know. I really don’t know… To me, there was nothing that captured me or awe-struck me. There’s no big attraction, no big, amazing, must-do thing. Now that’s just my opinion, but that’s the impression the city left on me. But, to Madrid’s defense, the city is HUGE. 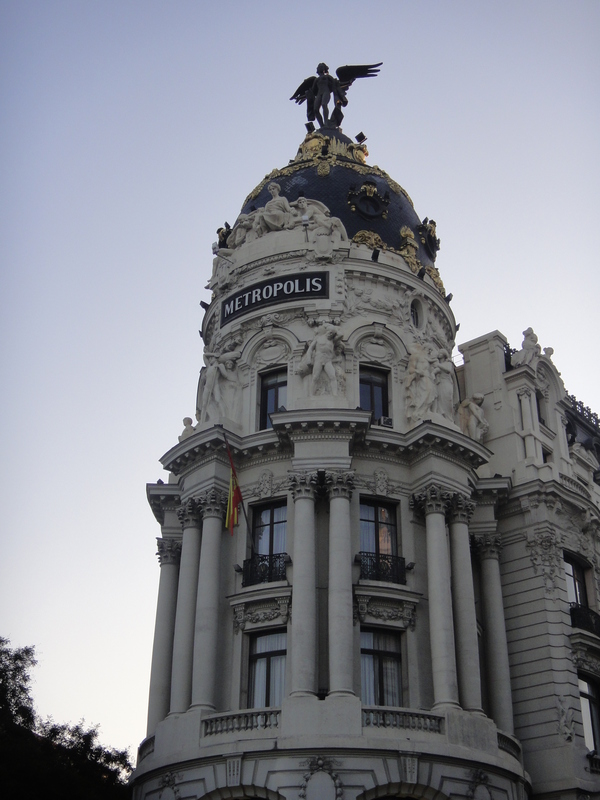 Maybe I didn’t see what should be seen; maybe I was completely unaware of some amazing buildings, artists, restaurants…. Does a city HAVE to have a big, touristy attraction to be likeable? I’d like to think the answer is no, as I’m a huge fan of the local areas, outskirts and traveling off the beaten path. (I’ll be skipping the fried sardines next time, however)….